Having trouble finding your perfect evening tipple? Time to ditch your ‘go to’ bars, and veer away from the ordinary with a wondrous cocktail or two. They are the new male accessory after all. We have compiled a guide of Benedict’s Top Tipples in some of his favourite UK cities. Try the latest whisky based infusions and twists on timeless classics in these chic speak easy environments. Down in the basement of 8-9 Hoxton Square hosts the award-winning cocktail factory which has many a trick up its sleeve. 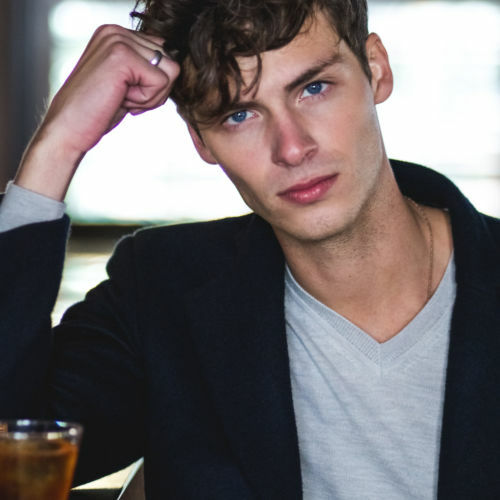 Pulling in a local gents Hoxton crowd, you will feel relaxed and at home here. Their tagline of: ‘High end cocktails and low rent’ is a true reflection of the heart and soul of the place. Take your place on one of grouped cushioned benches set amongst the crimson red walls and peruse their innovative cocktail list. 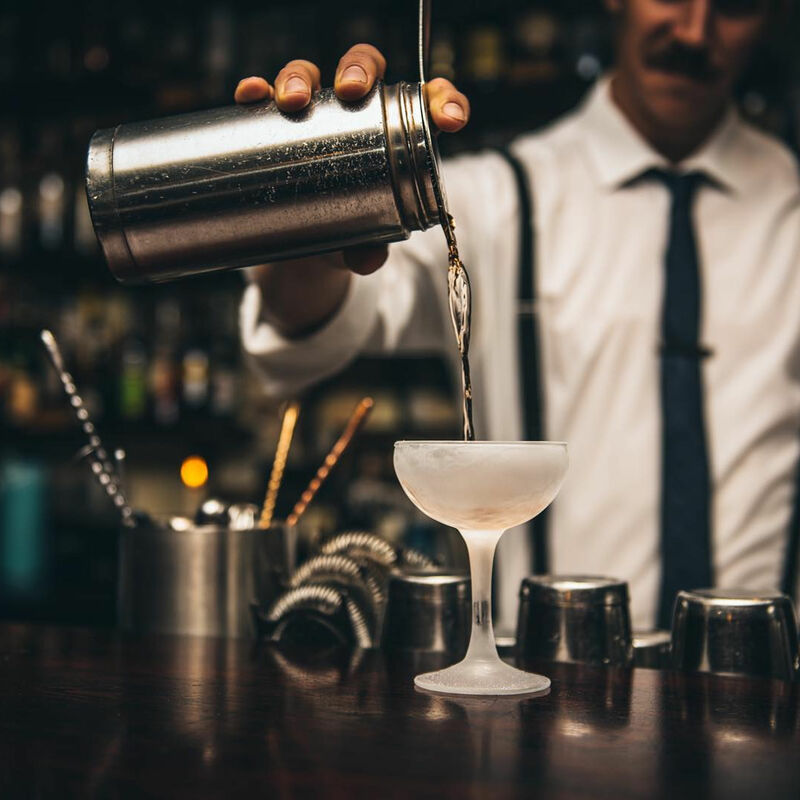 Amongst the effortless sophistication, you will find highly skilled and innovative bartenders creating impeccable concoctions and even taking request for something a little more unique. 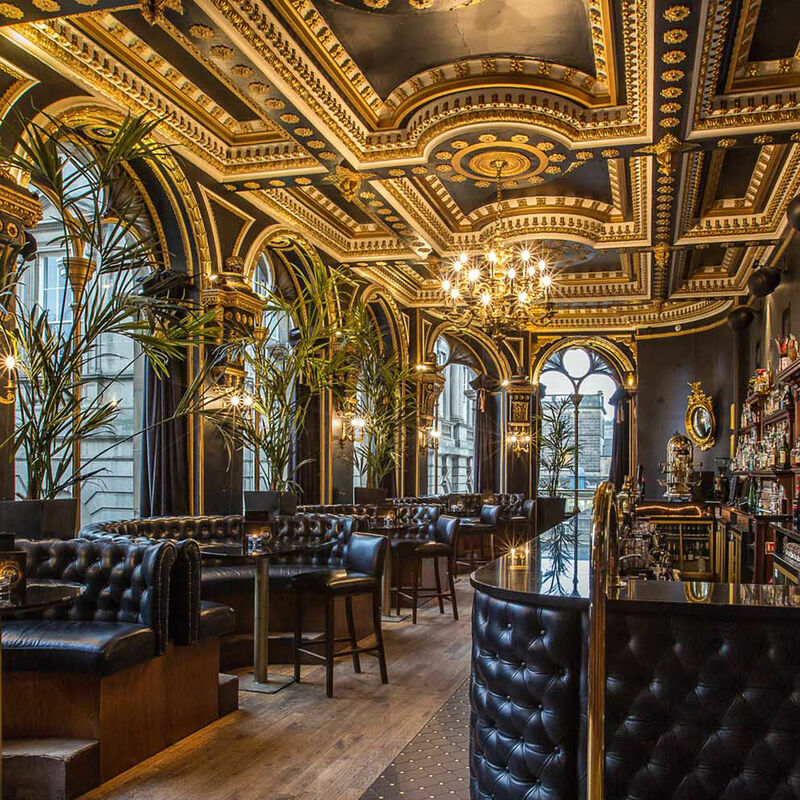 Head over to this sanctuary of cocktail heaven, this central bar has lots on offer in the way of fine tipples, each with a modern twist. Set inside the basement of the historic Queens Chambers building, it still holds its charm and original Victorian features. Brought into the modern day by owners Mark and Gary they have managed to take this grade two listed building and fuse with a more contemporary vibe. 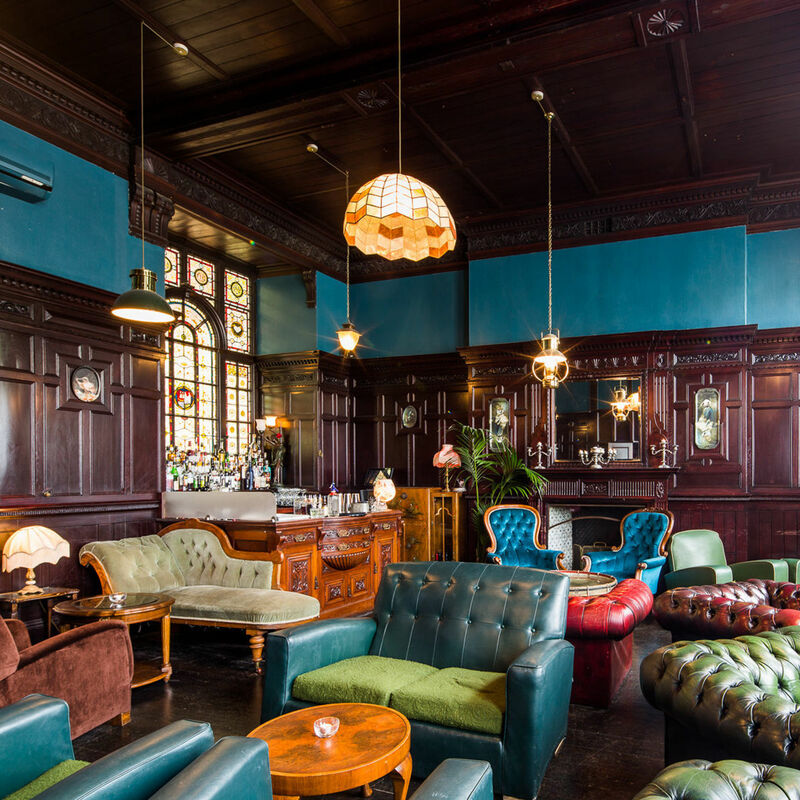 You will feel utterly relaxed in the cosy, candle lit atmosphere, you can sit back and soak up this masculine and quirky environment. 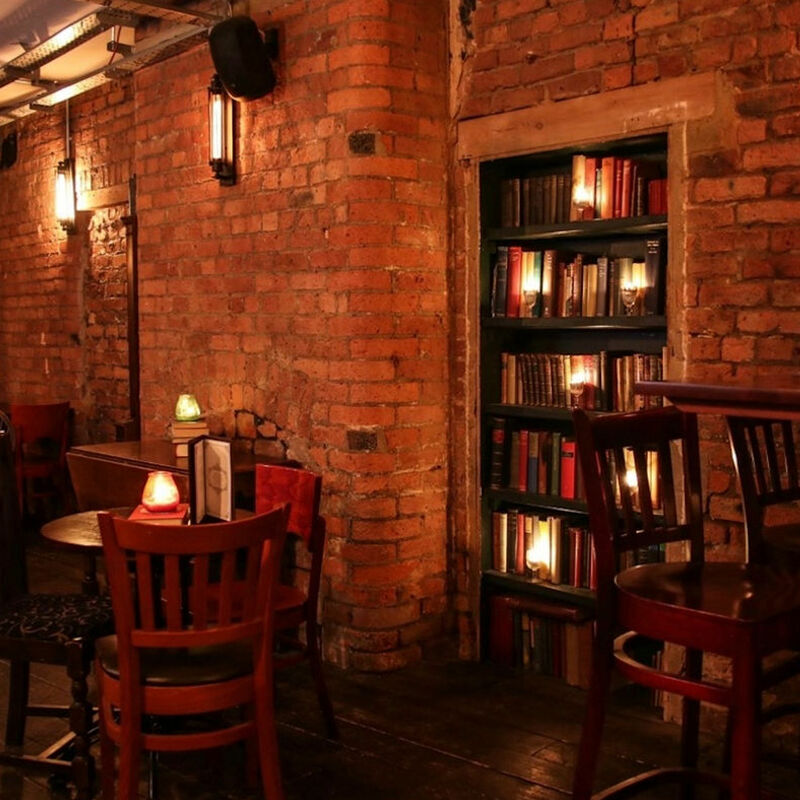 The heavily stocked book shelves set in the brick interior, nods to the historic architecture. Why not pick up a leather-bound book as the highly skilled bartenders whirl up a masterpiece in their Boston Shakers. Priding themselves to be in the cities top cocktail purveyors, this fine cocktail bar really is the top choice for a refined gentleman like yourself. Set amongst one of the city’s most magnificent historic buildings, this really is a hidden gem. Take much pleasure in reading their glorious menu, carefully selecting your tipple of choice. The eclectic mix of fizzing delights served up behind the bar add twists to the traditional classics, with something for everyone. If you fancy something a little more personal, declare your favourite flavours to a mixing genius and an exclusive blend will be shaken up. There isn’t anything they cannot create. Why not gather a group of friends for a night of tasting the best cocktails in town, working your way through the menu. This award-winning city cocktail bar and restaurant is one of the best of its kind gents. Much to your pleasure they serve up superb cocktails evening after evening and food that will have you truly satisfied. 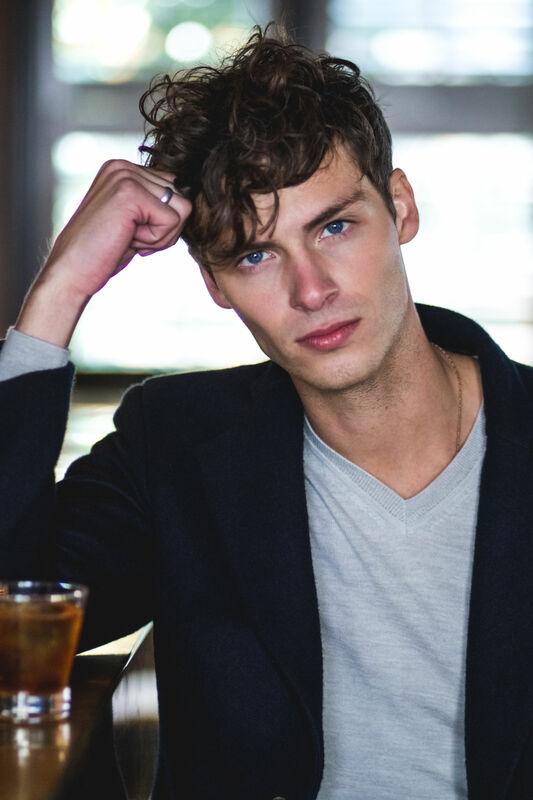 With an abundance experienced staff to hand and an extensively stocked bar, including sixty tequilas and sixty rums, you’ll be sure to find The One. Their dining space features intricately decorated ceilings, exotic antique vibes, large arched windows and seductive booth seating. Time to make oneself comfy and enjoy the heavenly times. If that wasn’t enough to tantalise you with, they have state of the art sound systems and four separate events areas, perfect for that special celebration with a crowd of friends and family. Sign up to receive 15% off your first order as well as updates on new collections, exclusive offers and VIP Events.